Who doesn’t want that gorgeous sun-kissed glow now that summer is in full swing?! 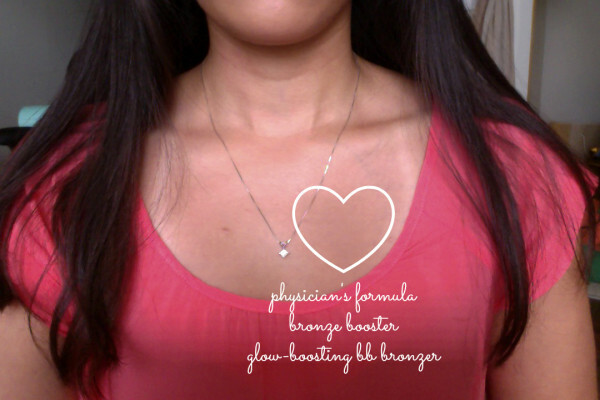 I had the chance to try Physicians Formula’s new Bronze Booster Glow-Boosting BB Bronzer (that’s a mouthful) thanks to StyleHunters and I’m a fan! Physicians Formula claims this is the first ever bronzer with BB cream benefits that are “Protecting, Moisturizing, Smoothing, Brightening, Line Softening.” I haven’t used this product long enough to tell whether or not these things are true, but I do like the shade of their “Medium to Dark” formula for my skin tone — it’s not orangey or too heavily pigmented and is blend-able so there are no harsh lines. You can see in this pic that I applied the BB Bronzer (with a medium/full coverage bareMinerals Precision Face Brush) to a tanned area on my chest and the BB Bronzer is barely noticeable. This actually has a nice subtle effect on my face great for everyday wear, but am worried that there won’t be any bronzing boosting effect if/when I get tanner. 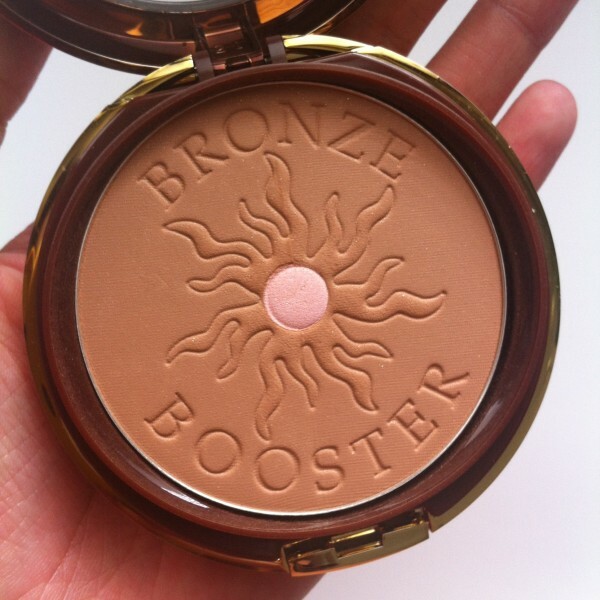 What’s your favorite bronzer for a sun-kissed summer look?